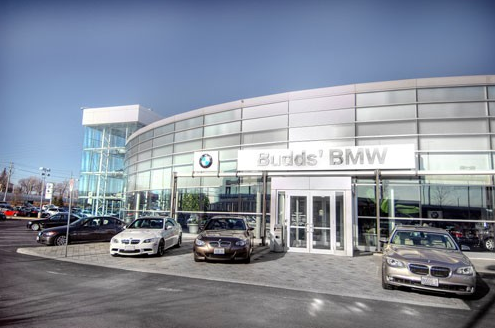 If you are looking for premium quality used cars for sale in Waterdown, then you should consider making the short trip into our Budds’ BMW Oakville dealership today! We are located on the South Service Road in Oakville, which is easily accessible from the QEW at Bronte Road. Waterdown residents can have confidence knowing that they do not have to travel far to find our inventory of used cars for sale in Waterdown. However, for those residents who choose to do initial research online from their homes before they come into our dealership, our website is a very useful tool. Continue reading this page to find out how you can find our inventory of used cars for sale in Waterdown on our website! 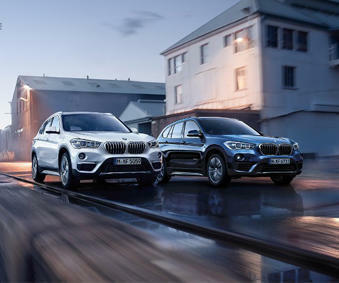 Either one of these methods will take you directly to the homepage of our website at Budds’ BMW Oakville. 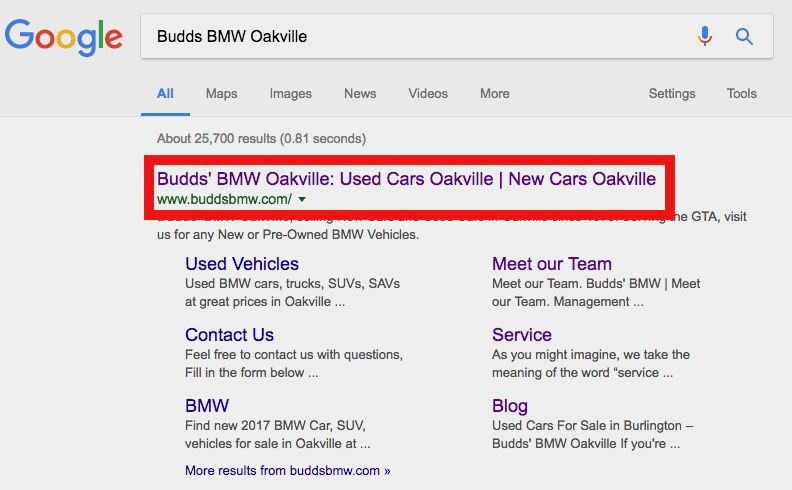 Clicking this will take you to our inventory list where you can begin your search for used cars for sale in Waterdown at Budds’ BMW Oakville! 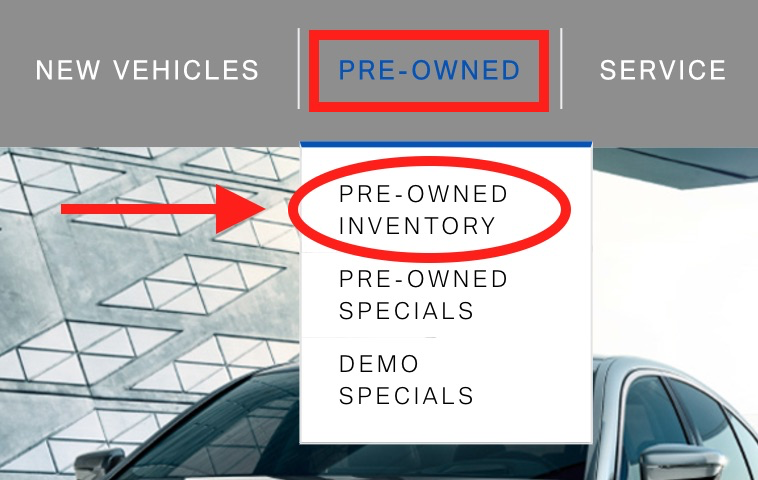 Your third step is to select your search criteria and look through the list of inventory that appears based on your selections. When you have found the used car for sale in Waterdown that interests you, click the orange ‘View Details’ button in the right corner. This will take you to another page where you will get more specific information about the vehicle you are interested in and you get other options like having your current vehicle appraised for a trade in value, setting up a test drive, and apply for financing. The final step in the process is to contact us! 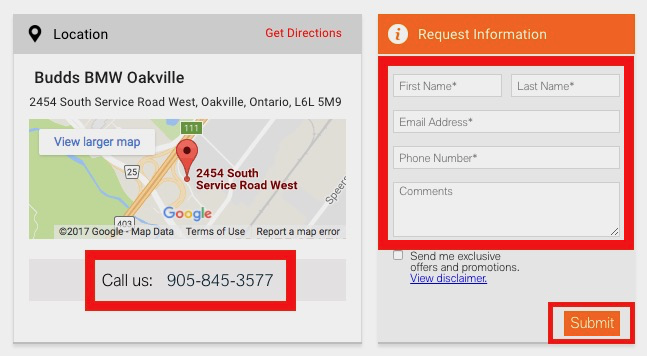 Fill out your information in the box provided and click on ‘Submit.’ A Budds’ BMW Oakville representative will be in touch with your shortly. 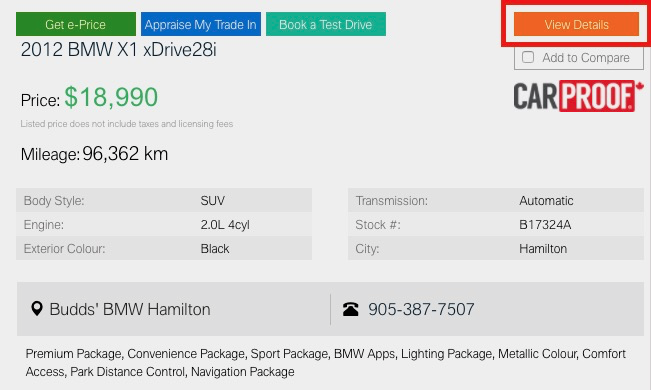 We have made it very easy for our customers to find our used cars for sale in Waterdown n our Budds’ BMW Oakville website. It is very easy to navigate and has all the required information about our premium quality driving machines. Feel free to continue browsing through our website to find more used cars for sale in Waterdown! Also on our website, our customers can find information about our parts department, service team, and other services we offer. Feel free to visit our blog for other interesting content as well! We can be reached at (905)845-3577 or by filling out our contact form.